So yeah, it’s fall. The season that connotes trees showing off and turning colors or something and then dumping their leaves onto lawns so people have to rake them up, I think. People captioning their selfies with SWEATER WEATHER 😉 even though it’s probably 80-degrees out. Here, we know it’s fall because of the pumpkin spice lattes that spam our instagrams and oh look, football is back on tv and people are pretending to care about the Dodgers. ANYWAYS, a friend of mine that hails from the east-coast made a playlist that had some serious chill-weather jams on it, but I just couldn’t relate seeing as the Santa Ana winds whipped up a 100-degree scorcher just last week. I’m pretty sure Lisa is still going to the beach (I wouldn’t dare, my skin would probably sizzle or sparkle or whatever vampire’s skins are doing these days), so I’ve come to the conclusion that here, summer stretches until like, late October and there isn’t any use in fighting it. Needless to say, I still require some tunes to try and offset the 405-traffic induced anxiety or to accompany me on the more pleasurable PCH cruises. So I concocted this mix of songs that aren’t like, YAY SUMMER but still have a warm, cozy vibe to them. 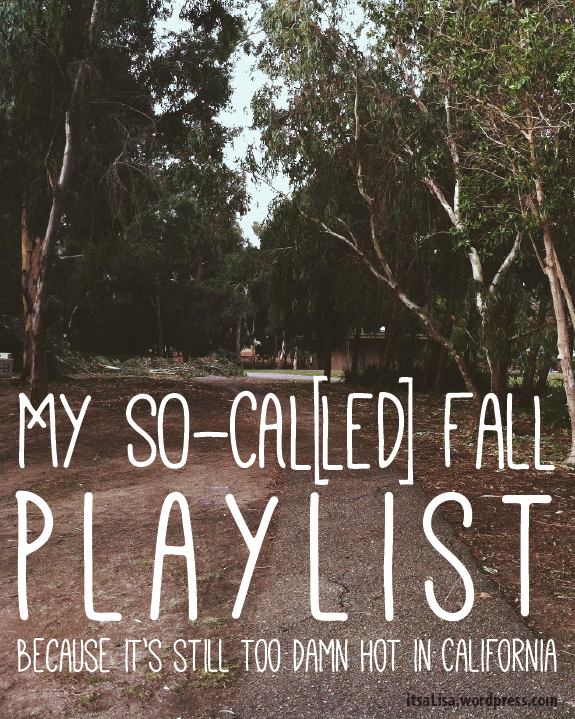 So this is it, My So-Cal[led] Fall playlist. Mazzy Star will cool you right down with her aptly titled ‘California’ fresh off her first album in 17 years, Seasons of Your Day. PAWS are a delightful poppy-punk trio from Glasgow that will get your juices a-flowing and your heart a-pumping. ‘A Heavy Abascus’ is one of my all-time favorites from The Joy Formidable, adorned with MBV-scuzzy guitars and soothing vocals. I couldn’t resist throwing in ‘Halloween All Year Long’ by The Orwells, plucky Chicago punks fresh out of high-school (who, by the way, put on a very entertaining live show, A+ would recommend). Mac Demarco will charm your pants off with his lackadaisical guitar strummin’ and his gap-toothed grin. I also added a fancy little version of ‘Sovay’ by the beauteous Andrew Bird that hearkens back to his Fingerlings days (and we are still trying to figure out how to score tickets to his winter-time “Gezelligheid” performance, hmu if you’ve got the scoop). Yeah so anywho, there’s those and a lot more on this playlist! Let me know what you think (or if you think I left anything out). If you bug me enough I’ll probably whip up another seasonal playlist real soon. 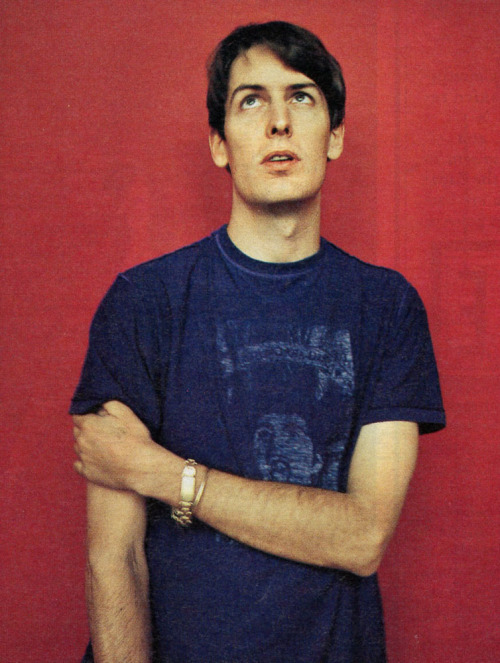 Band: Stephen Malkmus and the Jicks. Basically Stephen’s best stuff post Pavement. Sometimes, period. Band: Joyce Manor. Some good ol’ punx out of Torrance, California who aren’t afraid to get real emotional. Keep coming back for more music updates. In the meantime, follow me on tumblr. I must confess, the first Modest Mouse album that ever graced my ears was Good News For People Who Love Bad News (2004), the album that produced one of the catchiest damn radio hits from a scrawny indie band (you know the one) ever. Ever since, the Issaquah, WA band has never quite been able to escape the limelight. 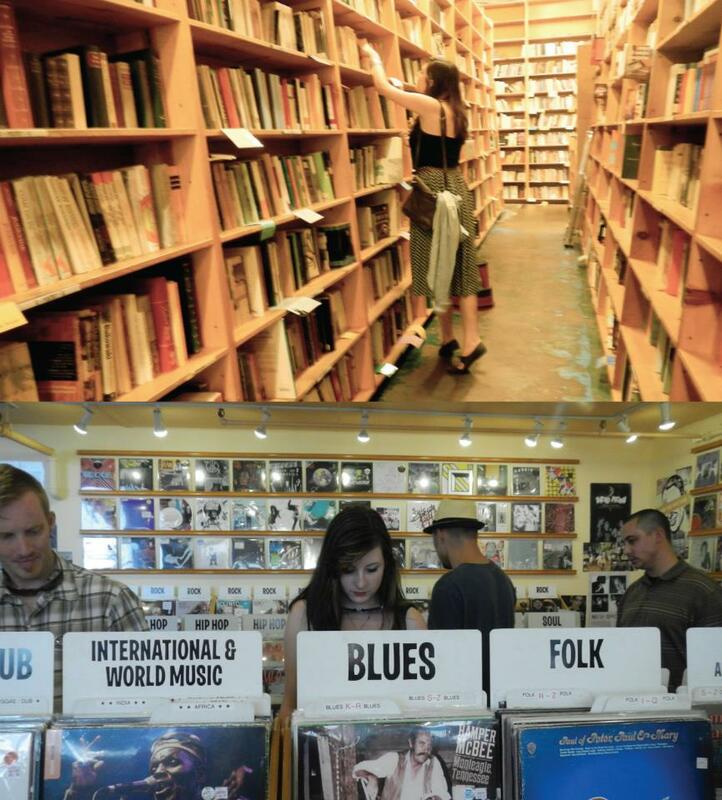 Consequently, diehard fans of their earlier work would claim that you’d be doing yourself a disservice if you neglected to rifle through their discography, retrospectively. The album preceding GNFPWLBN was The Moon & Antarctica (2000), and since that’s not the album I chose to talk about today, I’ll keep it real short and say that it’s nearly goddamn perfect. So listen to it. Shoo. But its 1997 predecessor, The Lonesome Crowded West, is not to be overlooked. Earlier this year, Pitchfork released a forty-five minute documentary on the making of The Lonesome Crowded West. It’s a rare look into the humble beginnings of a band that would later become stadium sellers, at a time when most of them weren’t old enough to get drinks at the bars they were playing in. Some of my favorite moments are the interviews with Isaac Brock himself, declaring his contempt for urban sprawl with a pronounced lisp and a sleeping cat draped upon his lap. Another shining moment is a short clip of the late Elliott Smith, shyly admitting that the upcoming Modest Mouse were “innovative and emotional.” There’s an interview with Modest Mouse’s arguably biggest influence and contemporary, the recently established Built to Spill, also singing the young band’s praises. The doc delves into each song individually, beginning with the moody, semi-autobiographical “Trailer Trash,” an angsty, yet tongue-in-cheek image of a broken trailer park family, a “short love and a long divorce / with a couple of kids of course,” and the protagonist “shouting that you’re all fakes!” in a Holden Caulfield-like fashion. “Trucker’s Atlas” is a rolicking, ten-minute ode to the life of a touring band in a time before GPS and smart phones. “Teeth Like God’s Shoeshine” functions as an introductory piece to the whole album, and proves to be an elegant teaser of the many reaches of Isaac’s voice and emotion displayed throughout the record. “Doin The Cockroach” breaks out into a drum-heavy groove number, daring the audience not to dance. “I’m trying to drink away the part of the day that I cannot sleep away” laments Brock on “Polar Opposites,” becoming one of the most memorable and awfully apt lyrics of the album. It’s an album for modern-age transcendentalists, for those who think strip-malls are ugly as hell, for those who get drunk on the Amtrak and who have ever had the urge to skip out on responsibility and road trip across the country. It was a prophetic album that pumped life into American post-punk at a crucial time, and is still a joyous listen nearly fifteen years later. Oh, did you happen to need another addition to your summertime playlist? Well look no further, this hazy gem by the chillwave trailblazer Ernest Greene (aka Washed Out) will be sure to fill that void. Relying less on the chill and more on psychedelic pop swirls and woozy guitars, Greene lulls you into serene summertime acceptance. “It Feels Alright” sounds as if Sgt Pepper and Deerhunter jammed at a buddy’s backyard shindig. This is the first single off his new album Paracosm, and is out August 12th via Sub Pop. Are you as excited as I am? Summerbaby, show me the town. Hello readers of Lisa’s blog, nice too e-meet you. I’m Caitlyn, Lisa’s longtime friend and self-appointed music mentor. If this blog was a movie, Lisa would be the director, producer, writer, lead actor, costume designer, location scout, so on and so forth. But I’m quite positive she would let me be in charge of the soundtrack, which is about all the responsibility I could handle anyways. I take this role pretty darn seriously, because let’s be honest, life is far too short to listen to Katy Perry (Lisa will totally debate me on this one, but I’ll tell her to shut up and turn up LCD Soundsystem).